It almost feels unjust to describe the origins of Aldo Lipari – the founder of Italian footwear brand, Alodd – as humble. This is, after all, the man who spent the first thirteen years of his career working his way towards being a commando in the Arditi Incursori Marina, the Italian navy’s answer to the British Royal Marines or the US Navy SEALS, a rank he held for five years. But this is also the man who spent thirty years working his way up in the fashion industry, having started out on the very bottom rung of the ladder working at warehouse floor level in Benetton’s in the UK, after his military career concluded. Considering he began work at the warehouse with no fashion qualifications whatsoever, ‘humble’ is putting it mildly. Those thirty years saw Aldo working at every level of the fashion industry. He soon grafted his way up to manager at Benetton’s before moving to Armani, where he spent 6 years fine-tuning his command over luxury apparel. Next up was Tom Ford’s Gucci, then following that Bally had the good fortune of hiring Aldo as its Southeast Asia and Oceania CEO – a role in which Aldo oversaw a major rise in profits. Aldo has worked in branding, design, manufacturing, retailing, distribution, and marketing – and across multiple categories, including accessories, footwear, read-to-wear and made-to-measure. Modest and approachable in person, it’s fair to assume that Aldo has never forgotten where his long and colourful story began. Thus it made complete sense for Aldo to leave his well-paid position at Bally and strike out on his own. Having learned all there was to learn at executive level, he was ready for a new challenge: and ALODD was it. Aldo took the plunge in 2015, setting up camp in Singapore where he had already been honing his understanding of the Asian customer. Though initially he struggled with the avoidance of confrontation (which is part of Singapore’s culture of politeness), he soon instilled in ALODD’s staff his ethos of constant learning, of engaging with received ideas and viewpoints in order to come up with a fresh and innovative perspective. Like the famous scene in Dead Poets Society, he wanted his company to stand on its desk and look at men’s luxury from a new angle. And – even if we do say so ourselves – what an exciting and contemporary new angle that turned out to be! Indeed, so fresh is ALODD’s approach that it can hardly be described as luxury at all. Traditionally luxury has served as a sartorial means of setting oneself above, predicated on the notion of exclusion on monetary or social grounds. Historically, the personal comfort of its wearers has always been secondary to luxury’s primary purpose of demarcating status. This concept is anathema to the work done by ALODD. In fact, Aldo goes as far as to dismiss the word luxury as “nothing but excess of gloss and marketing”. Aldo prefers the initialism QSC to luxury. This stands for Quality, Style and Comfort. Through these key values, he hopes to bridge the gap between luxury’s high standards and the high street’s accessibility, providing footwear of unbeatable construction at fair price points. This open-to-all ethos was another thing that drew him to Singapore, a country which is comprised of three major ethnicities (Aldo himself is half Italian, half Somalian). ALODD seeks to provide shoes that will appeal to the Asian customer’s desire for comfort just as much as the European customer’s zeal for quality – Italian, of course – materials. This duality is nowhere more evident than in the two stunning loafers that Aldo’s team have produced exclusively for The Rake. The shoes are emblematic of the ALODD way of doing things. Named Alessandro, the shoes are hand-crafted in Italy using sumptuous suede cashmere which feels as soft as a baby mouse’s hair. That’s where the Quality comes from. The shoes are available in either a deep chocolatey brown and smooth, versatile mole grey, and are built to fit not only every type of foot (especially those with a high arch), but every season and occasion as well. That’s the Style box ticked. Then there’s Comfort, arguably the most important of the trio. Simply put, these loafers are some of the most comfortable shoes we’ve had the pleasure of putting our feet into. As well as a quilted leather insole and rubber islands injected into the 8mm leather sole for flexibility, the shoes feature a full interior lining. This allows for an unbeatably refined and enjoyable wearing experience. You simply must try them for yourself. Producing Italian-made footwear designed to suit the hot’n’wet Singaporean climate, Alodd was established in 2015 by the former Asia-Pacific CEO of Bally — and ex-Italian Navy special forces commando — Aldo Lipari. Delivering high-quality, authentic Made-in-Italy men’s shoes at remarkably reasonable prices, Lipari prides himself on the “quality, style and comfort” of his footwear, with a particular emphasis on the latter aspect. Most styles featuring rubber or leather/rubber soles, Alodd’s shoes balance chic Italian design (dubmonks, wholecuts, svelte loafers and brogued cap-toes, for instance) with easy-wearing practicality. Drop into Alodd for sharp, comfortable Italian-made shoes that’ll keep you nimble and upright on Singapore’s slippery streets. WE LOVE A GOOD PAIR OF shoes as much as the next guy. Monkstraps, espadrilles, sneakers, brogues, driving shoes... fashion is such that it sometimes feels like watching random spotlights falling on a moving carousel of shoes, dictating what’s hot and what’s not. It can be hard to keep up, but so long as you’re armed with the essentials, you can generally put your best foot forward with confidence. There’s a new brand of shoes in town. Found at Takashimaya and The Centrepoint, its wares are comfortable, long lasting and stylish. Ranging from $397 to $496, they are affordable if you consider that they are handmade in Italy using time-honoured, traditional shoemaking techniques. Founder Aldo Lipari explained that this is possible because the company has managed to eliminate unnecessary overheads to deliver great product value at lower price points than luxury boutiques. ALODD, said Lipari, is a brand with a heart for quality, style and comfort. He’s been living in Singapore for the past six years, having first relocated to run Bally’s operations in the region. From 2009 to 2014, he served as Bally’s CEO of Southeast Asia and Oceania, driving a 20 p er cent year-on-year growth, strengthening the Swiss leather company’s position as a luxury leader across the board. He has also worked for Giorgio Armani. His story is one of steadily rising up the ranks, beginning as a measly stockroom boy at the United Colours of Benetton. In fact, coming to fashion was pure accident. Born in Somalia t o an Italian father and Somalian mother before moving to Italy in his late teens, Lipari spent five years of his youth with the Italian Navy’s elite commando unit, the Arditi Incursori Marina, the equivalent of the Navy SEALs. Being part of that regiment meant combat training and plunging deep into freezing waters for hours on end. None of this is fas hion, but it has certainly taught him everything he needed to thrive in the business world. Risk and even the hardest of obstacles are a piece of cake to him. It’s totally unrelated, but how did your experience in the navy prepare you for your work in fashion? It gave me strength. When you’re in the special forces, there are many expectations to meet. You command a team of 12 and are responsible for their lives. Hence, you’ve got to be determined and focused to push through. But it isn’t just about physical strength, it’s also a mental game. The mind needs to be strong and not panic. So yes, it helped me , especially in terms of making decisions and taking responsibility. Quick decision vs considered decision – which is the way to go? Considered decisions are definitely the smarter way to go about things, but you can always make a considered decision quickly. When you take on the role of responsibility, you need to be calm and collected, to not lose control. You need to have the vision and understanding of things, to prepare and not overreact. Do you believe in having full control of your business? You cannot have full control. You need good people and you need to let them grow, let them be responsible. If you have responsible employees, the company will prosper. Breathing down their necks only means you don’t trust them enough. If that’s the case, you don’t need pro fessionals. You just need executors. You can simply hire an absolute beginner, tell him what to do and he will do it. When I first moved to Singapore, I realised how people here hate confrontation, and I didn’t like that one bit. I want people to challenge me. It doesn’t matter if you had a bad idea and I went w ith it. I can’t possibly blame you. At the end of the day, I want my people to grow. When they reach a ceiling or a point when I can’t teach them an y more, they ought to leave and explore. That’s interesting, given your military background. The way you work depends on where you are. Control doesn’t mean ordering people around. Then again, in the navy, it was like an orchestra. We look, we understand and we act. There is full trust in one an other. How do you feel about someone coming in to learn for a year only to leave after? It’s ok, because a year is nothing. You don’t learn much. I used to do everything for the sake of learning, but all people care about to day is money and how early they can leave. Then again, I do believe in work-life balance. I never believe in staying late into the night. If you leave late, I will never pay you overtime. I am not thankful. So you decide whatever you want to do. Go back to your life, take care of your fami ly. Why do you need to stay long for? Italian Craftsmanship & Style, Specially Designed for Asia. ALODD’s classic footwear is proudly Made in Italy, utilising authentic Italian craftmanship and topquality materials. ALODD stands for true, pure Italian know-how and style — no compromises. 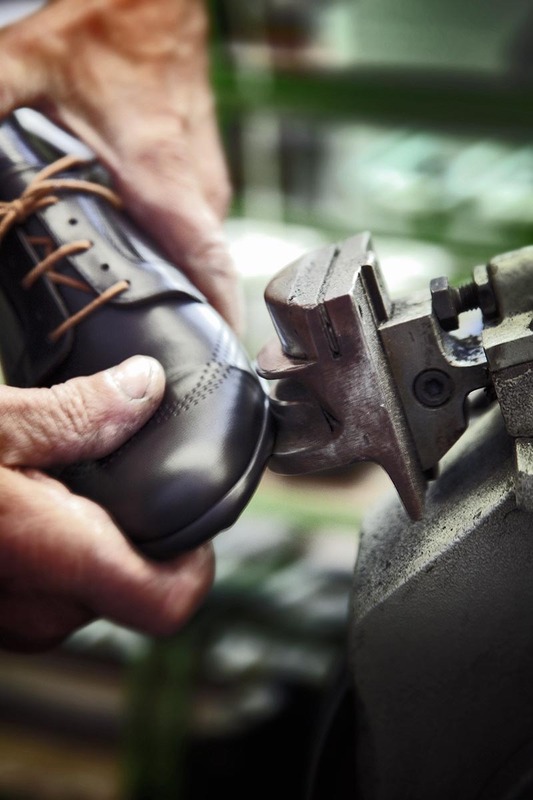 However, unlike most European-made brands, which cater to the tastes and needs of European customers, ALODD shoes are specifically designed and constructed to suit the climate and lifestyle of the gentleman living and working in Asia. Many of our soles are rubber and latex or leather and rubber, because this is the most comfortable, and the best all-weather solution — ideal for the tropical Singapore climate. Our shoes are built light, making for all-day comfort and practicality when travelling. And although the aesthetics of ALODD shoes are in step with global design trends and classic menswear styling, we consciously create footwear that meets with the distinct tastes of the Asian consumer. 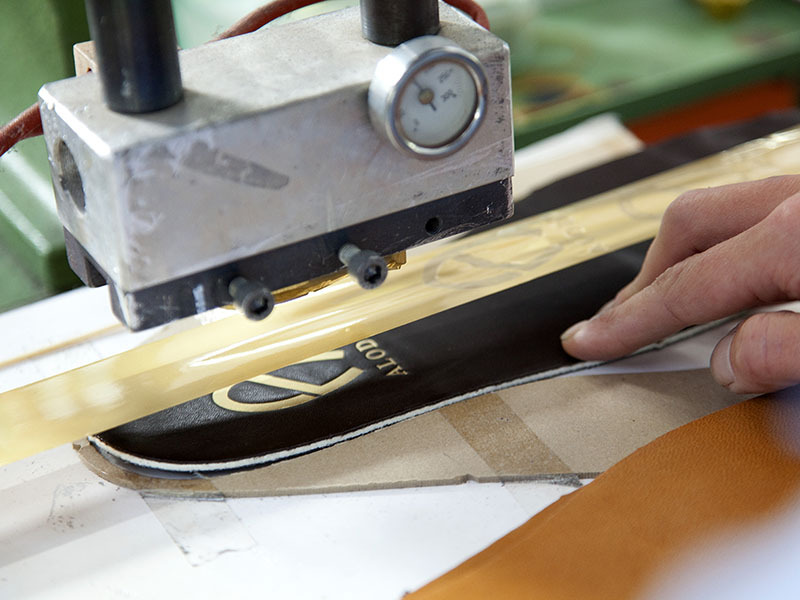 The ALODD brand is built on a solid foundation of authentic Italian workmanship and enduring value. We believe that good leather footwear isn’t a luxury — it’s a necessity. ALODD is dedicated to crafting shoes that are not only fashionable, but represent a savvy investment — providing an unbeatable combination of Quality, Style and Comfort.